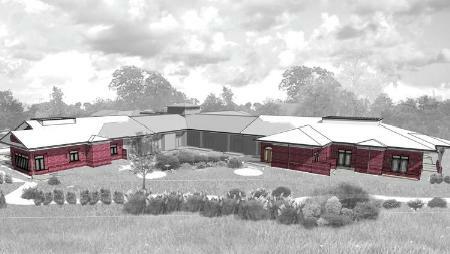 Transitions LifeCare has raised just more than $5 million toward a capital campaign goal of $6 million, putting it on the cusp of a project to expand Hospice Home. The facility, which was founded as Hospice of Wake County in 1979, will add 10 rooms to the existing facility and construct a veterans garden, in addition to smaller building upkeep and improvement projects.It currently has 20 rooms, but with population growth, Transitions executives say they need to prepare to meet the needs of an additional 500 families per year. Transitions received approval from state regulators for a $2.8 million budget on the expansion project, with the remaining funds spread over the garden and other projects. Construction is set to begin in late spring. Thad Woodard, Dr. Billy Dunlap and Brenda Gibson, chairs of the campaign committee conducted on CapDev's campaign counsel, say they will look to cross the fundraising finish line soon. "As we approach the reality of making our goal, who will take us to the point of completion?" Woodard said. "We welcome supporters from every corner of the counties we serve. Transitions LifeCare belongs to us all. Its future ensures a commitment to the communities we serve."